Have you been trying to find high quality unique men's shirts in the Quad Cities area? Have you settled for boring shirts from a chain that sells hundreds of the same shirt to everyone in town? Have you been driving to Scottsdale just to shop? You were not alone. Your search is over. Man at Leisure offers an unique selection of mens clothes and related products at affordable prices. Shirts from Luchiano Visconti, Forsyth of Canada, Reyn Spooner, North River, Ky's, Robert Clancey, as well as Brighton Belts, watches, wallets and much more. Most of our Hawaiian shirts are made in Hawaii. We also have over 25 colors of organic hemp and organic bamboo t-shirts. As well as Bamboo Socks in many styles and colors. Certified organic garments are made with your comfort and our planet in mind. Healthy for the environment, perfect for your body - a beautiful and smart choice. The store is currently on hiatus. We are reopening soon (April 1st hopefully) at the Prescott Gateway Mall. Look for us right near the food court. Feel free to send in any ideas you have and we look forward to seeing you at the store. Copyright ©, Man At Leisure LLC. All rights reserved. 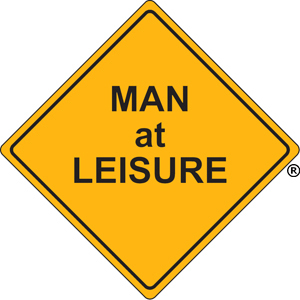 Man at Leisure name and logo are Registered in U.S. Patent and Trademark Office. All typos are optical illusions.